When you are the boss, sometimes it can be hard to keep yourself accountable and to stay productive when working from home. I have difficulty myself in keeping a schedule and sitting down at my desk to work on my blog. It’s especially hard since there are other things I think I could be doing around the house. And since I’m a homemaker, there is always something to do. The problem that regularly occurred was that I didn’t plan out and schedule my day ahead of time. I just wanted to do everything at once. If I didn’t finish a task, I would leave it to the next day, on top of others I did not get to. I never gave myself a time slot to work on my blog. There were times where I would not touch my computer for days. I would end up feeling discouraged and get mad at myself for not being more productive. The problem was, I didn’t know how to be productive working from home since I’ve never done it before. One day, I finally put my foot down. I came up with a game plan to get myself more organized. 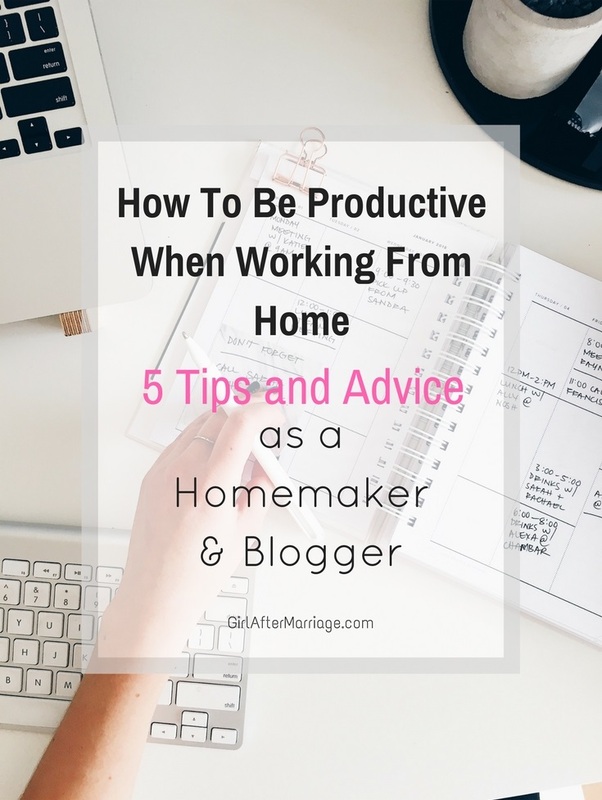 Here are only 5 tips (that’s all you need) on how I became more productive when working from home, and how you can do, too, while also making sure your homemaking tasks get completed. To stay productive when working from home, I plan out my week ahead of time, usually on the weekend. 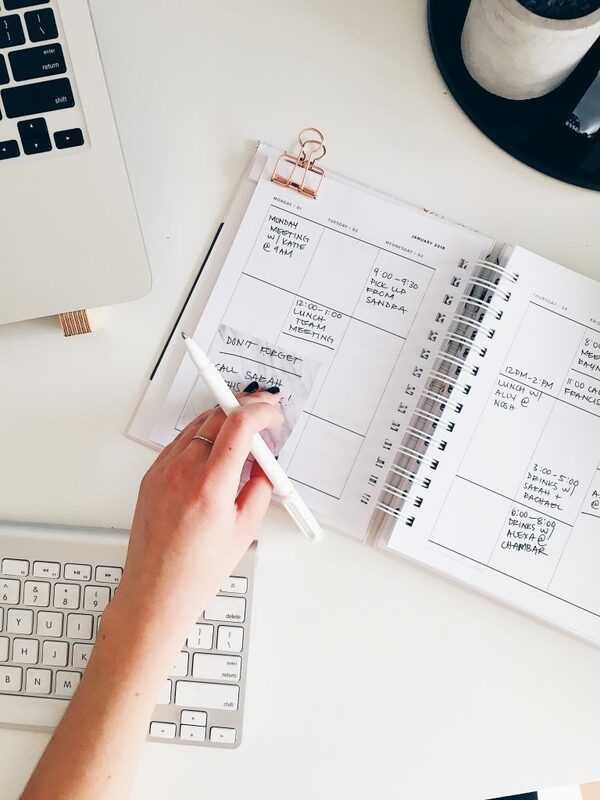 I write a rough meal plan for the upcoming week, tasks that need to get done around the house, errands, and any recreational events or obligations I agreed to (coffee dates, babysitting, parties, etc.) With everything written down, I then figure out where in the day I can work for a few hours uninterrupted. I recommend buying a planner to keep everything together in one place. Even a calendar (or one of those giant ones), so you can see the entire month if that’s what you prefer. If you have a busy schedule, and you think you can’t find any free time, try and leave a time slot open sometime in the week. Write down that you will focus on your work at that time, even if it’s only for an hour. I’m one of those people that once I wake up, a cup of coffee in hand, I go straight to doing housework. In the beginning, I would try and complete all the tasks for the week in one day. I thought that if I got everything finished, I’d have multiple days to focus on my blog. However, I did not realize at the time that every day is different and that there is always something to do! I would end up postponing any work I had planned on doing for later. That’s when I decided to create my schedule for each day and finish the day’s tasks as quickly and efficiently as possible. It’s best to keep the day simple to just a few chores; then you can leave the afternoon open for other things. Whatever it may be, put pen to paper (or in your memo’s or notes on your phone). Anything you need to buy, organize, clean, a thought or an idea, write it down. It’s not fun if you forget, so do it as quickly as you can. Then when you begin planning out your week, you can add these various thoughts to your do list or in your planner. Another way to stay productive when working from is to consider having a workstation or office. 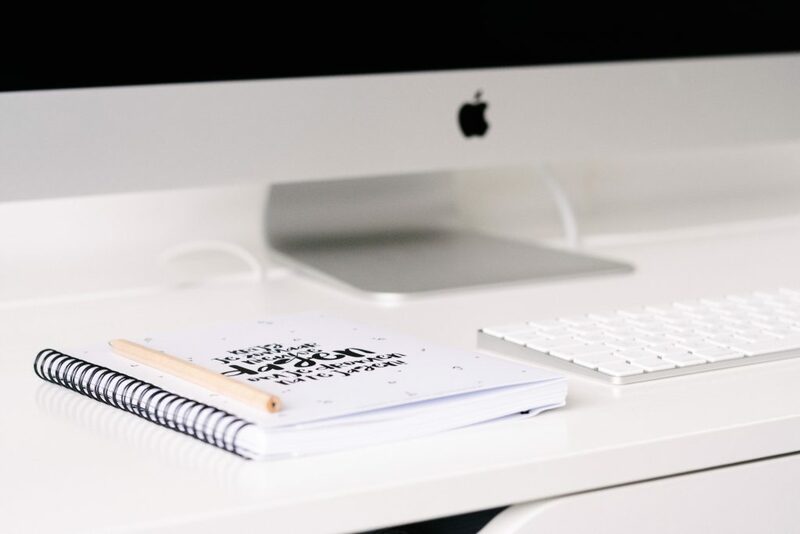 Since this post is about working from home, you can either choose to create your work area or find a spot somewhere in the house where you would like to set-up. It can be anywhere – in the living room from the couch, at the dining room table, the kitchen counter, or create your own office space. I added a desk that I bought at IKEA for about a total of $35 to my beauty room. This is my favourite room in my home, so I feel more productive when I work there. If you have space in your home to create a work area, do it! You will notice your productivity increases! One of the downfalls of working from home is trying not to get distracted, for example, by going on social media. Whether it be going on Facebook, Instagram, or watching random videos on YouTube, resist the urge to look! If you have a show or movie on in the background or music playing, that’s fine. I need background noise; I cannot work in silence. However, if you work for only 5 minutes, and decide to go on Facebook for 30 minutes, you’re not productive. You will end up wasting valuable time, and then you feel discouraged that you didn’t get anything finished (so guilty of this). Try and get the social media stuff out of the way first and then get to work. The only exception is if you’re on social media specifically for work. Following these simple 5 steps has helped tremendously in keeping to my weekly schedule. 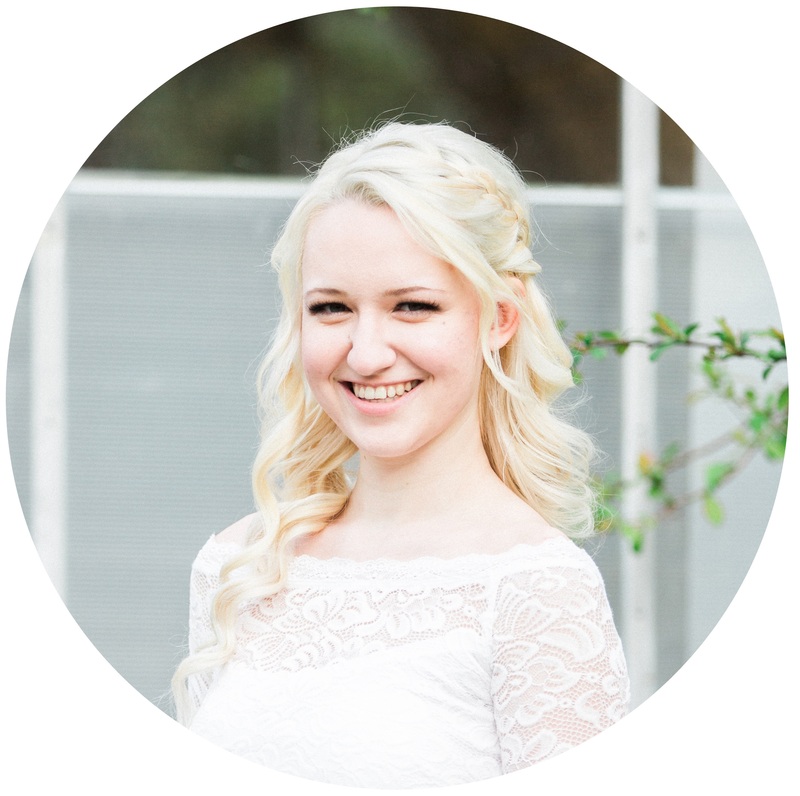 I feel more productive, and I also have given myself more free time to focus on my blog. I hope you found some inspiration in becoming more organized and get work done! I would have that happen, too, so I had to make sure I would write down what was in my phone into my notebook or else it disappeared: out of mind, out of sight, right? 🙂 It will be so helpful when you have a workspace, good luck in creating your own. Thank you for your comment! I am not married but this post is so relevant even to unmarried women who do house chores and work from home. Thanks alot for the inspiration. Tips! I’ve been working from home for years but even I tend to get distracted and off task. Always nice to have a reminder! It’s so hard not to get distracted! Takes a lot of self-control. Haha! Thank you for your comment! Oh, I’ve never heard of Trello! I’ll have to look it up! Thank you for your comment! Great tips! It wasn’t until last June that I quit my full-time job to become a creative entrepreneur and have been working from home ever since (except for the afternoon classes I teach). 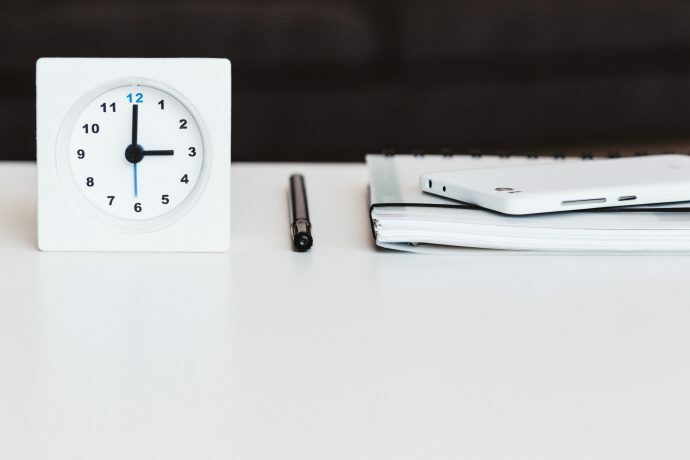 Having worked full-time at a “normal” job for years, it’s been a real challenge creating a routine for myself and staying productive as much as possible. There are SOOOO many distractions when working from home! Thank you! Definitely, I still struggle at times to find a balance between working around the house and working on my blog. I always get distracted. Haha! Thank you for your comment. Great tips! Organizing the to-do list is such a huge factor. Thanks for sharing ♥️ ♥️ By any chance you are interested on doing collaborations, you can check out the collaborations portal of Phlanx.com and connect with amazing brands!